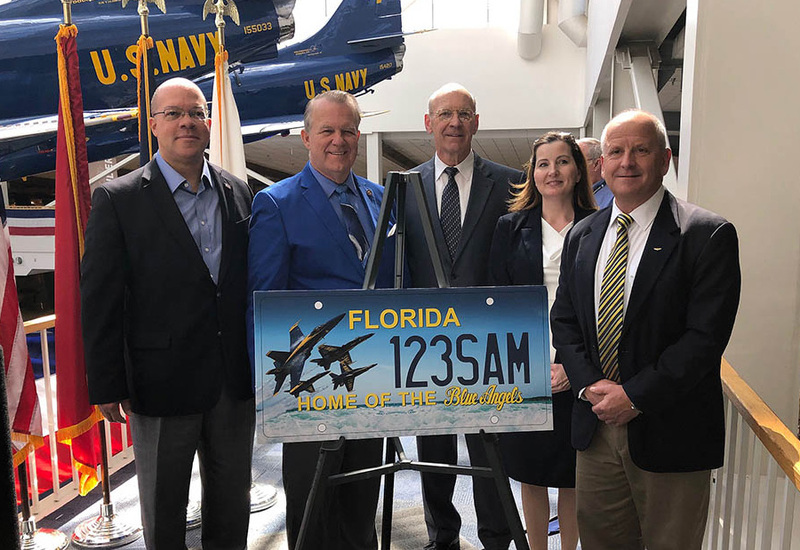 A proposed Blue Angels license plate was unveiled during a ceremony Friday at NAS Pensacola. 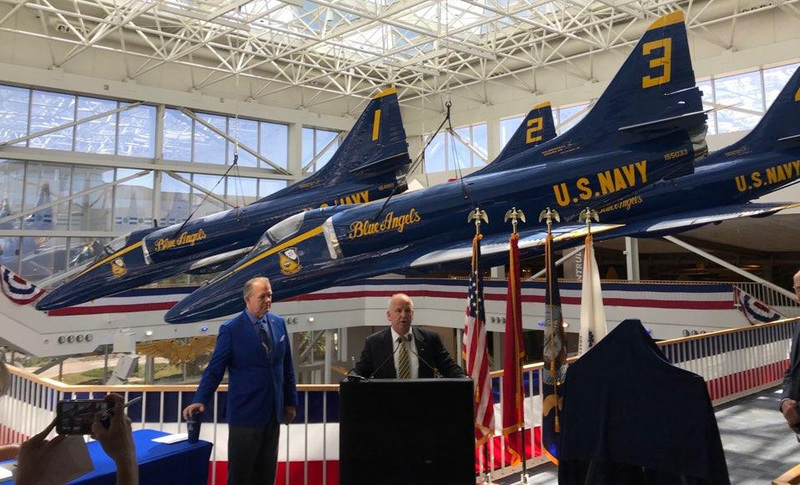 Sen. Doug Broxson has filed a bill to create a new Blue Angels specialty license plate. If the bill become law, the license plate will include the words “Home of the Blue Angels” at the bottom. The annual fees generated by the plate will benefit the Naval Aviation Museum Foundation, including the Naval Aviation Museum and the National Flight Academy in Pensacola. Let’s make this happen! America’s Team. I will buy for every car I own. 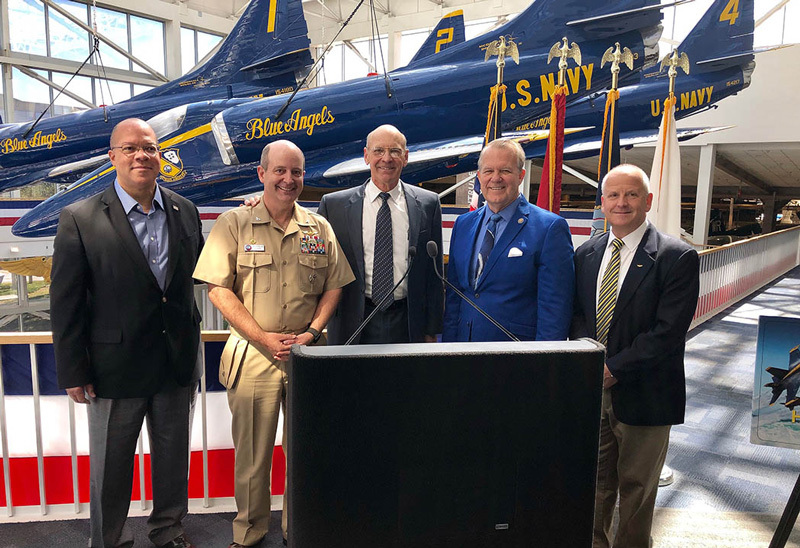 The Naval Aviation Museum has a lot of history that needs to be shared with the public for generations to come. Approve, approve. I will buy it ..love our Blues…. I WILL LOVE TO REPRESENT THE BLUES ON MY CAR!!!!!!! 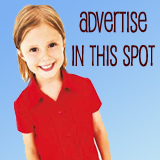 I love it – can’t wait for it to be released , love the cavities that it will support.